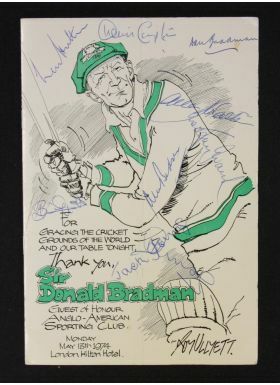 Signed Anglo-American Sporting Club Dinner menu with Guest of Honour ‘Sir Don Bradman in recognition of his unique and unforgettable contribution to world cricket’ held at The London Hilton on 13th May 1974. The menu with pictorial cover showing a colour caricature of Bradman by artist Roy Ullyett with interior pages having menu and evenings boxing programme. 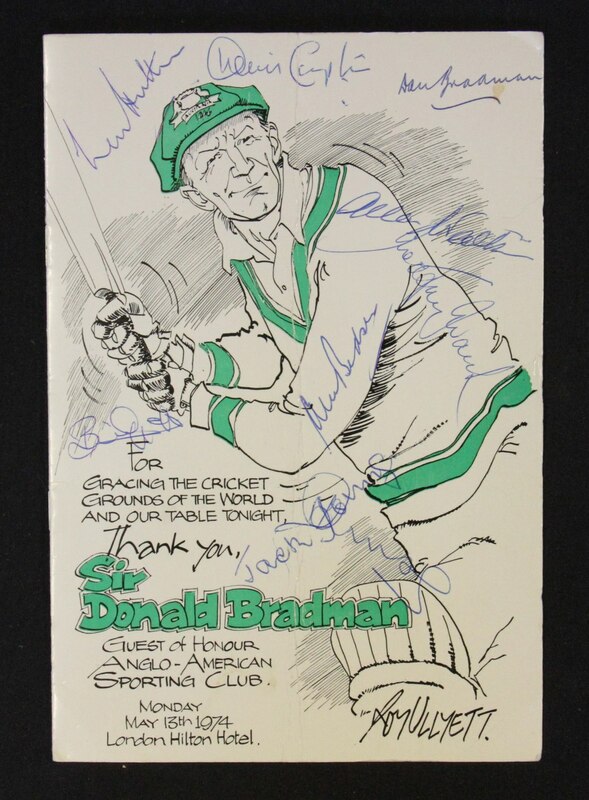 Signed to cover by Don Bradman and 8 other English cricketers including Bedser, Hutton, Compton, Watkins and others.